Brimming with alluring history, culture, adventure and beauty, Peru is a world of wanderlust for any traveller. Populated by over 31 million people, Peru is home of the ancient Inca civilisation, Amazon rainforest, archaeological landmarks and the world-famous Inca Trail. Popular attractions include Machu Picchu, Lake Titicaca in Puno, and the historical city of Arequipa. Get ready for a sensory overload because cheap flights to Peru are now available! The country’s hub airport is Jorge Chávez International Airport (LIM), which is a 20-minute drive from the centre of Lima. Step into the ancient civilisation of the pre-historic Inca tribes and hike your way to the Inca City where the beguiling ruins of Machu Picchu await. Discover mystical temples along the stunning desert coast, including the funerary towers in Puno. 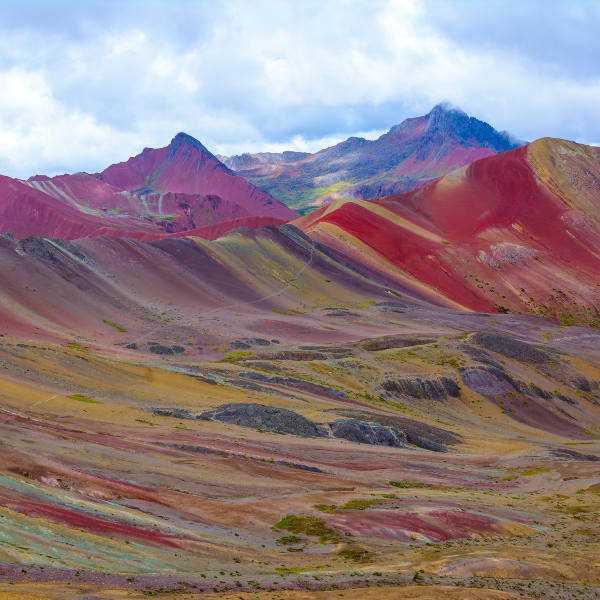 Boasting some of the most fascinating geological features in the world, Peru’s exquisite landscapes are jaw-dropping. The Ausangate rainbow mountain range, Huacachina sand dunes and the Sacred Valley are just a few bucket-list attractions. 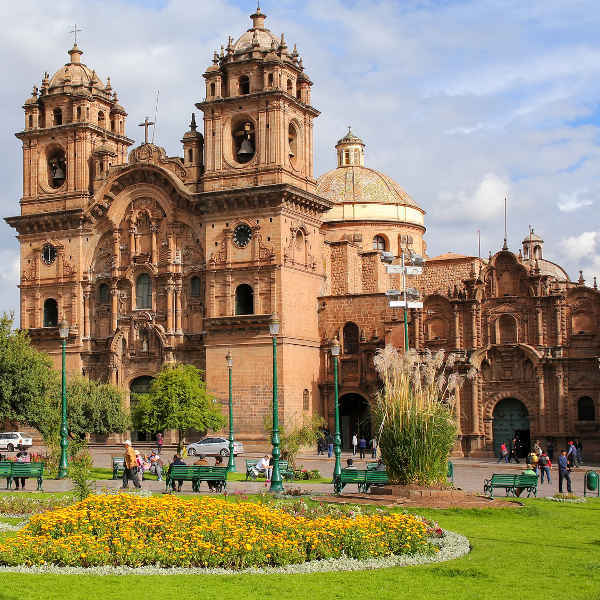 A walk through the historical streets of Cusco, Lima and Arequipa will lead you down a path of architectural splendour and deep-rooted history. Wander through the museums, churches and marketplaces to appreciate Peru’s historic charm. Peru experiences varied weather patterns so the ideal time for visiting is dependent on where you want to go. The dry winter season (May-September) is the best time to visit Cusco and trek the Inca Trail to Machu Picchu and the Sacred Valley. December to March brings heavy rainfall and chilly temperatures, so general hiking through the Andes is not recommended during this time. If you plan on jungle trekking through the rainforests, bear in mind that heavy showers fall between October and April, while the dry season brings humidity and temperatures of around 32°C. The exquisite coastlines are best explored during the balmy summer months of November to March. The days are sunny and the ocean is wonderfully warm – the ideal combination for sightseeing and lazy beach days. Lima, the country’s capital, is best avoided during the months of May-September when the city is shrouded in layers of fog and cloud. Like much of South America, Peru buzzes with festivals throughout the year. Catch Carnival in February, Puno week in November and Semana Santa in March. 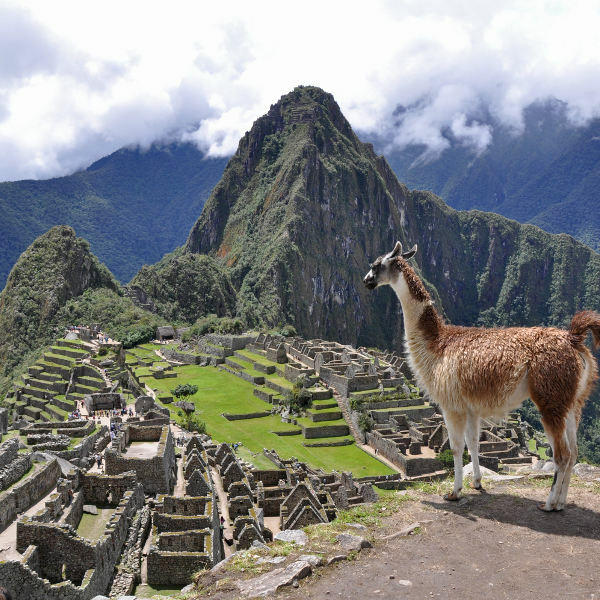 For low-season travel discounts and cheap flights to Peru, visit Machu Picchu between December and March. The coastlines are less crowded between June and October. Peru is a land of exotic wonder and boundless adventure. With a staggering variety of sights and activities to explore, you can paddle your way through the Amazon, trek the sacred Inca Trail, or treat your taste buds to ceviche and pisco sours! Discover the ancient customs of the Andean culture as you meander through the hidden villages and historical towns bursting with colour and celebration during festivals. Peru’s unrivalled landscapes are simply breathtaking. See traces of the Inca Empire as you clamber up to the majestic hills of Machu Picchu. The sparkling sapphire waters of Lake Titicaca afford you scenic views of rolling hills and ethnic villages tucked away along the shores. The jagged peaks of Colca Canyon are interspersed with old churches, hot springs and Inca ruins; while the mysterious geoglyph Nazca Lines are an archaeologist’s delight. The magical oasis of Huacachina seems out of place with its picturesque, palm-laced resort town surrounded by sprawling sand dunes – a sandboarding hotspot. Other archaeological gems beckoning to be explored are the volcanic rock buildings and colonial masterpieces in Arequipa, Barranco (south of Lima) and Plaza de Armas – all acclaimed World Heritage Sites. The cobbled streets of these historical towns are steeped in layers of history and should not be missed. Aside from the plethora of outdoor pursuits, Peru is a culinary hotspot. With its exotic flavours and vibrant nightlife, you’re in for a dazzling treat! Compare several airlines, and book your cheap flights to Peru online at Travelstart! Peru is a very safe country where the locals are friendly and inviting towards visitors. Nonetheless, take the usual safety precautions to avoid petty theft by leaving valuables locked in your hotel, keeping money in a concealed travel purse and not walking around unsavoury areas at night. If you’re travelling to Cusco and trekking along the Inca Trail, be aware of altitude sickness. Bring nausea pills and make sure to acclimatise before setting off on strenuous hiking. Stay well-hydrated and wear sensible clothes and strong sunscreen. Avoid drinking tap water – bottled water is widely available. Health care is excellent in the major cities, while smaller villages usually have clinics that will be able to assist you. No vaccinations are required to enter Peru; however, it is recommended to be vaccinated against typhoid and hepatitis A. Those travelling through the Amazon should consider yellow fever vaccinations and malaria medication. A comprehensive travel-insurance policy to cover theft and medical expenses is always recommended.